Bill Thompson asks how far repressive regimes will go to control what their citizens do online. 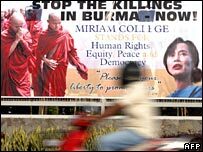 The military regime in Burma has controlled access to the internet for many years, but when information about the recent protests appeared all over the web, from YouTube videos to personal testimony on blogs, the generals showed that there were other options available to them and effectively cut the country off from the worldwide network. This drastic action worked, up to a point, forcing those who wanted to communicate with the rest of the world to take significant risks by using satellite phones and other links and limiting the world's awareness of the severity of the current clampdown. No doubt the military authorities have their own working net link, and are carefully studying the videos, photos and blog entries as they assemble their list of those to detain, a predictable but still worrying side-effect of making film of protesters widely available. And they will have to restore the country's connectivity if they want to benefit from the online economy or attract those tourists whose political views make it acceptable to provide financial support to the regime by spending money there. Burma is not alone in seeking to control what its citizens do online, although the severity of the controls there is exceptional even among more repressive regimes. And every country has to face the question of how much it tries to control what people can say or do online. In the USA most of the real regulation is left to risk-averse private companies such as MySpace and Facebook, who assert their right to censor and limit what people can post in the interests of commercial expediency rather than the First Amendment. Over here we tend to leave it to the vagaries of defamation law, asking hosting companies to decide whether threatening letters from lawyers representing Russian oligarchs complaining about their treatment should be taken seriously or not. And of course we have the self-appointed guardians of public morality the Internet Watch Foundation assembling a secret list of sites it believes host images of child abuse which can then be covertly blocked by major ISPs. It's hard to find out how these architectures of control operate, largely because any detailed knowledge of the system might expose its flaws and allow those who advocate free expression to find ways to exploit them. Just as open source software works on the principle that "all bugs are shallow" if many people can examine the code, it's likely that all censorship is porous if you know exactly how the system operates. A just-published report from press freedom campaigners Reporters Sans Frontieres (RSF), working in conjunction with Chinese Human Rights Defenders, is therefore extremely welcome to those concerned about net access in China. Its author is "Mr Tao", a technician working for an internet company, and describes the "skilful mix of filtering technologies, cyber-police surveillance and propaganda" used to control online free expression, and looks at how "draconian censorship hunts down anything to do with human rights, democracy and freedom of belief". We can't verify its authenticity, of course, and as with any leaked report from inside a repressive system it is possible that some or all of it is inadvertently or deliberately misleading or wrong, but the picture it paints is plausible and RSF has a good track record. It's interesting to see just how embedded online censorship has become in the control mechanisms of the state, and how the technology is key to its own regulation. One of the main agencies involved is the Beijing Internet Information Administrative Bureau, which issues instructions to sites to not publish an article, to not cover an event or issue, or to put a stop to certain comments. According to Tao: "Various forms of communication have been established between the leading commercial websites and the supervisory bodies - phone, e-mail, SMS text messages, MSN, QQ and RTX (Real Time eXchange) instant messaging, web platforms and a weekly meeting... The means of communication that are most used are SMS text messages and MSN instant messaging." Presumably there is some verification, as otherwise obtaining a list of the relevant mobile numbers could be an entertaining activity for a group of free speech hackers. We also get some insight into the history of net censorship. It seems that there was little formal control of the net until November 2005, when the Beijing Internet Information Administrative Bureau was established, but that things have grown rapidly since then. The Bureau has also become more bureaucratic and even has categories of order - a first category order has to be carried out within five minutes, with publishers allowed ten minutes for second category orders and a generous half an hour for third. And the degree of micro-management is astonishing. 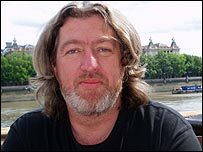 In May 2006 editors of online sites were told to put a report on an increase in taxi fares "in their news section, but not in a prominent position, to not put it on their front page, and to stop comments on the subject". In June that year the death of an engineer from overwork was completely blocked: "All sites must stop posting articles on this subject, those that have already been posted about it must be removed from the site and, finally, forums and blogs must withdraw all articles and messages about this case." The investment of time, money, and intellectual energy in this complex and adaptive system is chillingly impressive. The Chinese authorities clearly realise the importance of the internet as a communications medium, but of course they can never embrace its potential to liberate our thinking or encourage free expression because to do so undermines their hold on power. The messages themselves may be banal, but the system as a whole is a key component in the continuing oppression of the Chinese people. And the more people who know just how it operates, the better - I look forward to Mr Tao's next report.